Are you looking for a way to help people of all ages, right here in your community? It’s easy! Just sign up with the Amazon Smile Program. 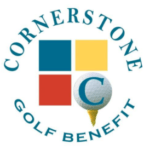 When you shop, Amazon will contribute .5% of the amount of eligible purchases back to Cornerstone. That money will be used to help children who are having difficulty in school. You will be helping families learn to cope with difficult situations. By signing up and shopping with Amazon Smile, you will help people get the support and skills they need to move forward with their lives. Sign up today by visiting Amazon Smile and thank you for making a difference!